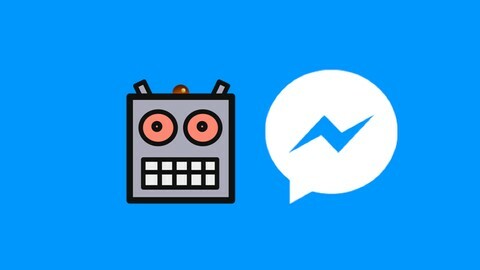 You will Learn How to Build a ChatBot for Facebook Messenger in 1 hour! You will learn by building 2 bots for Facebook Messenger: a parrot bot and a bot for your favorite football team. Coding: In the Coding Section, you will be making a Parrot Bot in Node.js using our sample code. Without Coding: You will be making a Bot for you Favorite Football Team without any coding. Anyone can make a Bot using this course! This course was Designed so even a complete newbie could create the Football Team Bot. 1 Full Day: Some students can complete this course as quickly as a few hours. If you are new to programing, I suggest you take the day and run through this course content first then replay it and build the Parrot Bot. This course is ideal for anyone who wants to learn how to make a chatbot from scratch. We will focus on the main components of building a chatbot which includes building the server, adding your code to it, deploying it in the cloud, and connecting it with Facebook Messenger.